What are India Pale Ales (IPA)? India Pale Ales (IPA) is a hoppy beer style in the category of Pale Ales. 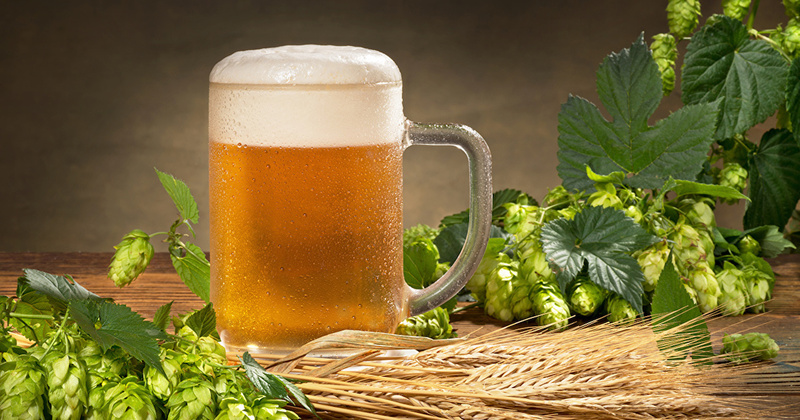 IPAs use more hops and usually have a higher alcohol content. IPAs are one of the most popular beer styles and definitely the backbone of the craft beer industry. IPAs have a long history all over the world. It would be hard to find a brewery that does not brew an India Pale Ale. Why is it called an “India Pale Ale”? While many people think the name is because it was brewed or originated in India this is not true. There have been many dispute about why IPAs are called India Pale Ale. The most popular theory is that IPAs were created to survive the long, tough journey from Britain to India with no refrigeration. Brewers amped up the hops and the alcohol by volume and the beer made the trip (and the troops loved it too)! IPAs are usually golden or amber in colour with a full persistent head. When they are dry-hopped they are a bit cloudy, but usually, India Pale Ales come out fairly clear. India Pale Ales contain strong bitterness from the hops, but is balanced with a slight malt character. The aromas that waft are citrusy, herbaceous, earthy or grassy. IPA beers can also have a fruity yeast character and the malt flavours tend to be biscuit, toast or caramel. This style is known for high carbonation levels. It has a substantial weight and is generally high in IBUs which makes it feel heavy and bitter. What foods pair well with India Pale Ales? The bitterness of an IPA helps cut right through spicy foods. It is especially great with Indian dishes and Mexican dishes. India Pale Ales are best served cool not cold. 45-50 degrees Fahrenheit or 7-10 degrees Celsius is the best temperature. Sour Beer: A deceptively simple term for a complex style. Is sour beer here to stay or a passing trend? I visited Bricks Wine Co. for the “Cheers to Sour Beers” tasting event with Certified Cicerone, Mike Maxwell, to see what the big deal is about sour beer and find out just what makes a sour beer, well… sour. Most people enjoy drinking their favorite beer straight from the bottle, but if you are looking for a different beer experience, you need to make sure it is served at the perfect temperature, poured just right and into the correct beer glassware. Don’t know where to begin? This article will get you started on the path to making every beer the perfect beer.